This is no ordinary election season for Tamil Nadu Chief Minister J Jayalalithaa: she has been positioned by her party as a prime ministerial candidate, making the contest in Tamil Nadu more keenly watched than ever. 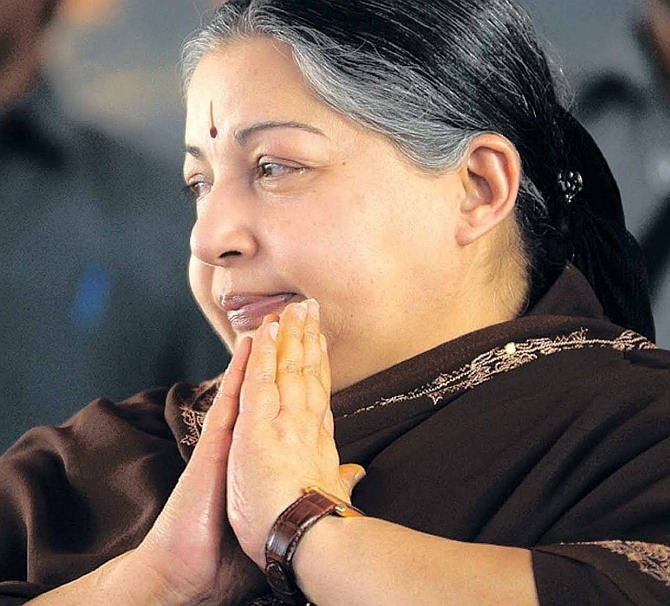 But even as Jayalalithaa takes her rivals -- the Dravida Munnetra Kazhagam -- to task over allegations of corruption, she too battles a controversial legacy that goes back to 1991, to her first term in power. At that time, members of the family of Sasikala Natarajan were lodged in her Poes Garden residence in Chennai, leading to allegations that the Sasikala family was acting as an extra-constitutional authority, taking key decisions and using their proximity to the chief minister to build a vast business empire. When the DMK came to power in 1996, it brought a number of cases against Jayalalithaa, mostly pertaining to allegations of corruption in her joint business dealings with Sasikala and her family. 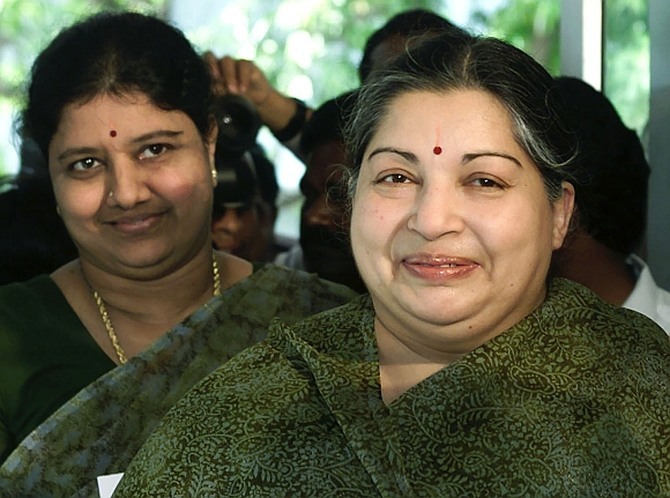 Today, all cases have closed bar one -- that Jayalalithaa, along with Sasikala and two of her relatives, amassed Rs 66 crore of assets from unexplained wealth. In 2012, Jayalalithaa went on to evict Sasikala and all her relatives from her house, beginning with her husband, M Natarajan. Sasikala herself was allowed to move back in two years ago, though in a diminished capacity. Yet, for an association that cast such a long shadow on her political career, very little is known of how the Sasikala family became such a strong influence in the life of Jayalalithaa, and whether they indeed exerted the kind of influence that is alleged by Jayalalitha's rivals. For the first time, M Natarajan, the estranged husband of Sasikala, spoke to NDTV’s Sreenivasan Jain at his residence in the town of Tanjavur, five hours south of Chennai. He described in great detail the association his wife and he shared with Jayalalithaa. Natarajan, who by his own description comes across as a Svengali-like figure, says he has chosen to break his silence because he can no longer endure the bitterness of being cast aside by Jayalalithaa despite his playing a key role in her transformation from a political novice to one of the most powerful politicians in the country. Actually, my earlier days of college took me towards Dravidian politics, as a student leader from Tanjavur. We were fighting in the anti-Hindi agitation which took place in 1965. From that time. I had association with the DMK. In 1973. After the sudden demise of the great (CN) Annadurai, then chief minister, we were all given jobs in the state administration by M Karunanidhi, who became chief minister (Natarajan was made a publicity assistant in the information and publicity department). So since then we have a close association. Karunanidhi conducted my marriage rituals with Sasikala. He was invited by L Ganesan (another student leader). When did you first meet Jayalalithaa? Jayalalitha joined (former Tamil Nadu chief minister) M G Ramachandran in 1980-82, somewhere '81-'82 she joined the party (After Annadurai's death, the DMK split. MGR formed the All Indian Drvida Munnetra Kazhagam and was elected to power as chief minister). She was asked to attend the centenary meeting of Subramaniyam Bharatiyar (the freedom fighter) where I was officer in charge of the celebrations. 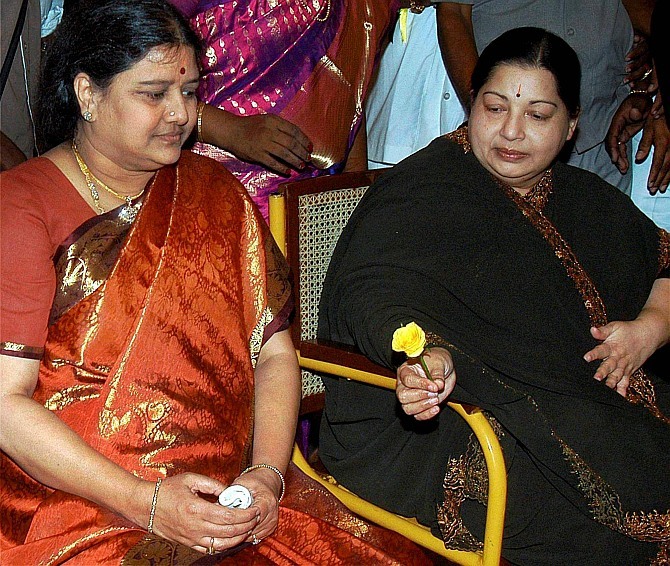 Later on, the district collector (of South Arcot district) Chandralekha introduced Sasikala to Jayalalithaa. Sasikala was running a shop that rented video cameras. Jayalalithaa's programmes were covered by Sasikala's team. Through that some good association developed. So when did that become a political association? You were advising her as a political strategist? Yes, that helped her. When I came to know at 2.30 am of MGR's death [in 1987], I woke up my wife and asked her to inform Jayalalithaa and take her to MGR's house. When she returned, we took her to the main venue, Rajaji Hall, where MGR was the body was kept. She faced a hostile reception there. Those people (loyal to MGR's wife Janaki) used everything there, using the pin to prick her, using the chappal and shoes to hit her. I was trying to safeguard her. In 1991, she was elected for the first time. What was your role in that process? In the dismissal of the DMK government, I played a small role, which Subramanian Swamy and late PM Chandrashekhar know about. We created the situation to dismiss the DMK government, for which Jayalalithaa didn't go to Delhi at all. The reason cited to dismiss the DMK government in 1991 (the DMK had been in power for 2 years) was the Jain Commission report on the Rajiv Gandhi assassination case, which pointed to links between Karunanidhi and the Liberation Tigers of Tamil Eelam? No no, that was one of the reasons, but main thing was we were planning to tackle the DMK after seeing the big rally conducted in Madras (Chennai). It was a seven hour-long rally, as part of the birthday celebrations of MGR, and an MGR statue opening in Anna Salai in the state capital. As Prime Minister Rajiv Gandhi participated in that rally conducted by AIADMK (The Congress and the AIADMK were in alliance at that time). She (Jayalalithaa) did everything in that. After seeing the big turnout, by seeing people come on the road sent a message to Rajiv Gandhi that Karunanidhi is nothing here. 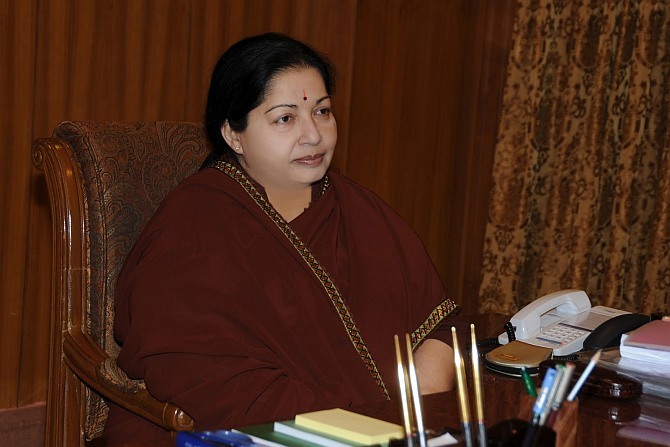 After the 1991 election, Jayalalithaa came to power and became chief minister. How closely were you involved in the decision-making process, as is alleged? Since Jayalalithaa and all ministers were new for the administration except few ministers who had worked under MGR... all of them were new... therefore I as an officer served under the government for 20 years, I had access to information and officials with whom I had worked, therefore I was able to pinpoint to the good people. I indicate, which she accepted honourably because she had no other option. At that time she had no access, now she is well-versed with everybody. Even the chief secretary. That was my suggestion. I set one theory, if not directly to her, through my wife and my family. I drew a triangle -- the chief secretary, the private secretary and the home secretary. These three are vital. These three had to be different people who should not be allowed to come together. If they did, they will rule, but if you keep them under control, you will rule. But in a democracy, how can you have an extra-constitutional authority? Why do you admit Karunanidhi's family, 8-9 families to run around? You accept that? I am asking the same question -- if that is admissible, then this is also admissible. What about the allegations that Jayalalithaa formed companies with family members of Sasikala? It's not expensive land as you claim. It's a SIDCO-aided plot where a sick TANSI unit was lying for 15 years for auction. Even under MGR they had started the process, and continued under DMK, but nothing happened. Was it a mistake for this company to have bought that land, given Jayalalithaa was chief minister? According to the Sarkaria Commission, government servants should not participate in the government auction for government property. So chief ministers and MP/MLAs are part of government service. Did you try to advice them against it? Not directly, but through my family. At the time when she (Jayalalithaa) was about to pass the order in that line, the auditor misguided her, putting her into a problem. Later on it was resolved. I had even suggested that the property be returned back immediately. Where was the money for all the investments made by the Sasikala family coming from? See, money for anybody who are coming to power, behind the leadership or behind the political force, many people will come to help you. For instance, I can borrow easily from the bank. Over a call I get somebody to give money. Like that it started. But it doesn't mean it's all Jayalalithaa's. Why do you say it's all Jayalalithaa's, it's not. It's not hers! But what about the allegation of disproportionate assets? No! No! You subtract Jayalalithaa madam's. I am occupying some portions. How it can be disproportionate? I am not occupying any government position. I might have misused her position, misused her office also. If all of you were helping her so much -- politically, financially and otherwise -- then why did she break all contact with you? It's not that she broke contact. I broke and came out. See, she has her own way of functioning in which I didn't want to interrupt in between. She feels after winning the election, nobody should claim that she won because of A, B or C ... There are two aspects to this. One is that if Natarajan and family are liquidated out of that area (Jayalalithaa's house), only then can DMK recapture that area. That is their primary agenda. To suit that idea, the officers at the helm of affairs who served under him. The real story was that I was associated with (the pro LTTE activist) Nedumaran who was a great supporter of the Eelam Tigers. So for his work I associated. In memory of how inhumanly our Tamil brothers were treated (in Sri Lanka), we wanted to build a memorial. I was helping monetarily, land etc though not directly. I used to lend a helping hand. 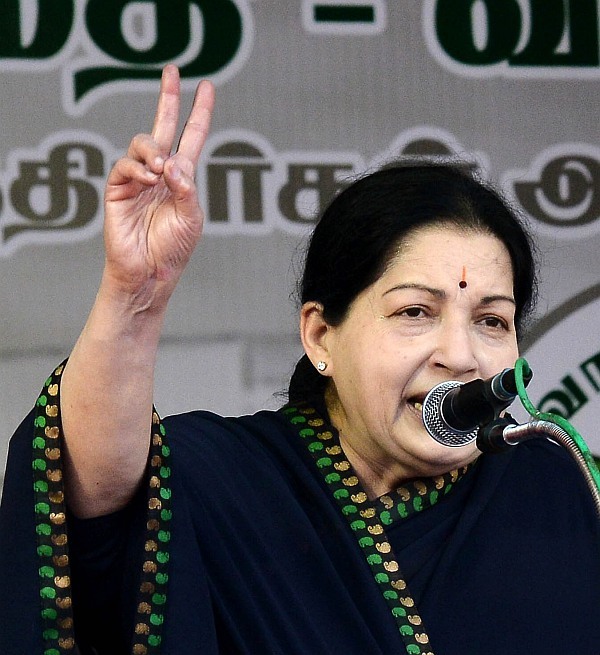 That irked Jayalalithaa and in a later stage in the adjoining area, somebody kept construction material. They showed it as 'attempt to grab'. Can any attempt to grab be made? Attempt to murder can happen. Grabbing means you should grab. Do you continue to have any contact with Sasikala? That is personal, you should not ask. You can read in my memoirs. If I say something, it will affect many things including the case.Why all of us are silent is because we are all involved in a connected case. Whatever we say won't only affect Jayalalithaa, but it also affect my wife, my brother-in-law's wife and my brother's son, who is like a son to me. You are referring to the disproportionate assets case. You are saying that is the main reason why all of you are tied? Yes, that's why we are silent. But why is Sasikala still staying in Poes Garden (Jayalalitha's residence)? No nothing except the disproportionate income case. If it was not for it, Jaya herself would sent Sasikala out. Because it is her nature. It's not because of deep friendship or a sense of loyalty. No, when you select a friend, you should select after giving it your full thought. After a thorough thought only you can select a person. After choosing a friend, one should not doubt their integrity and if doubts creep in, that will be the end of peace. 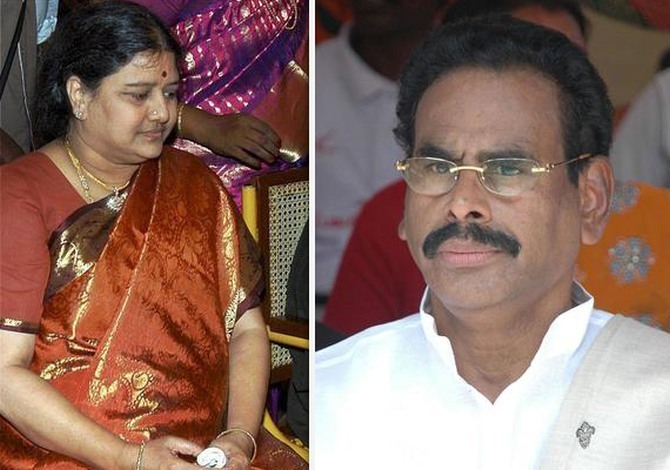 Do you hope Sasikala will return to you? After she comes out of the case she has already promised to the members of our family, if not to me, after the case is over 'I will come.' Till that time, everyone will remain silent. That's why they are all silent.